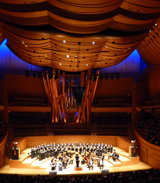 With a main purpose of missionary work, the Los Angeles Chamber Choir (LACC) was founded in 2005. Despite its short history, in May of 2006, LACC performed its first annual concert in the presence of numerous supporters and the people who love both classical and contemporary church music. In addition, with performances at many church events, pastor conferences, convalescent centers and community events, LACC has diligently worked to praise our Lord and brought comfort and hope to grieved and tired souls. 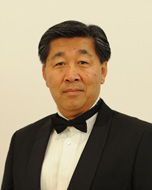 Through the teamwork and cooperation among conductor, accompanist, officers and members, LACC has since staged numerous performances and produced DVDs and CDs despite its short history. But most of all, LACC has continuously focused its activities on mission through praise. I first give tremendous thanks and praise to our God for blessing and raising LACC. It is a great blessing to be able to sing and praise Him in our daily lives. We glorify God through praising, and it gives us the greatest comfort, joy, courage and hope. I also thank LACC for steadily bringing comfort and encouragement to those weary souls, and for spreading the gospel and glorifying God. Furthermore, I commend LACC for helping various missionary organizations, starting with the organizations which help starving children in North Korea down to those who help poor and neglected neighbors, the homeless and the troubled youths. Lastly, I thank LACC for sharing the vision of world mission and the spread of gospel throughout the world. I now ask all of you to pray for LACC to continue to serve God and communities through wonderful music and praise. I thank all those who gave support in every facet and ask them for unrelenting interests and encouragement. I sincerely pray that LACC will continue to be worthy of your support. In closing, I would like to ask you to pray for LACCs future schedules, which includes all annual conerts.